THURSDAY, March 21, 2019 -- Anti-vaccination campaigns abound on social media, but the people involved are not necessarily driven by any single motivation, a new study suggests. The investigators came to that conclusion after looking into a "viral" Facebook attack targeting a Pittsburgh pediatric practice that posted a video encouraging HPV vaccination. A month after the practice posted the video on its Facebook page, it apparently caught the eye of anti-vaccination groups. Within a week, the post was deluged with thousands of vaccine-bashing comments. So researchers at the University of Pittsburgh decided to take a closer look at the people involved, and analyzed the profiles of a randomly selected sample of 197 commenters. It was found that most were mothers, but they were fairly diverse in other ways. They hailed from 36 U.S. states and eight countries, and were neither uniformly liberal nor conservative: Just over half were Trump supporters, while 11 percent were fans of Bernie Sanders, for example. From what the researchers could analyze, the commenters were driven by various motives. It seemed to come down to four broad themes, said senior researcher Dr. Brian Primack, who directs Pitt's Center for Research on Media, Technology and Health. Some anti-vaccine commenters showed a distrust of the scientific community and worried that mandatory vaccination threatened their personal liberty. Another group believed the government and other groups were conspiring to hide the truth from the public. "There was the claim that the poliovirus doesn't really exist, for example," said Beth Hoffmann, a graduate student at Pitt who worked on the study. But then there were the commenters who were more in line with the typical "vaccine-hesitant" parent, Primack said. There was a group concerned about vaccine safety and the notion that vaccination is "immoral," and another interested in "alternatives," like homeopathic remedies, to avoid the chemicals used in vaccines. To the researchers, that means doctors and public health agencies need to better "tailor" their messages to address the different reasons some parents balk at vaccinating their kids. "It's not all about autism," Hoffmann said. She was referring to the genesis of the anti-vaccination movement -- the belief that the MMR vaccine against measles, mumps and rubella might cause autism. That fear was sparked by a small 1997 study that was later found to be fraudulent and retracted by the journal that published it. These days, though, anti-vaccination sentiments go beyond autism, agreed Dr. Paul Offit, chief of infectious diseases at Children's Hospital of Philadelphia. "It's perfectly reasonable for parents to be hesitant and have questions," said Offit, who was not involved in the study. "We give kids a lot of shots, and we're using biological materials people have never heard of." But parents should bring those concerns to their pediatrician, Offit said, rather than social media -- where they are bound to come across misinformation like "polio does not exist." Ideally, the Pitt researchers say, doctors should respond to those worries with more than a generic "vaccines are safe and effective" message. If, for example, parents are worried about vaccine ingredients, Hoffmann said, it might help to explain what a particular chemical does -- such as boosting the immune system response. "Parents may feel like they're not being heard if they get a one-size-fits-all response," Primack said. The findings, published March 21 in the journal Vaccine, come at a time of rising concerns about parents' vaccine hesitancy. Recent years have seen widespread outbreaks of "old" childhood diseases such as measles, mumps and whooping cough. So far this year, there have been 268 cases of measles reported in 15 states, according to the U.S. Centers for Disease Control and Prevention. Measles was once declared eradicated in the United States, due to high vaccination rates. But it has re-emerged -- often due to unvaccinated travelers bringing measles back from countries where large outbreaks are occurring, the CDC says. 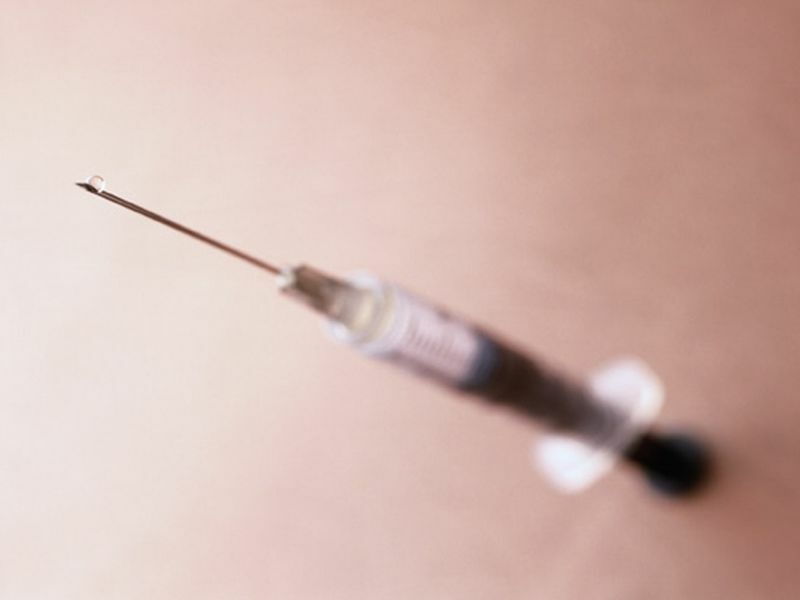 "Vaccine refusal is fueling a public health crisis," Hoffmann said. Offit agreed. He also doubted that messages from doctors and public health agencies will have any pull when it comes to people on the "conspiracy theory" end of the spectrum. "To me, what it comes down to is legislation," Offit said. He pointed to the few U.S. states that allow children to be exempted from vaccinations for medical reasons only -- and not due to parents' religious or philosophical objections. The U.S. Centers for Disease Control and Prevention has resources for parents on childhood vaccinations.